How Is The Human Brain Like A Pencil? How is the human brain like a pencil? You probably have already guessed at least one possible answer. >They both need to be sharpened for the best performance. >It’s what they have inside that’s important. >They are only useful when used. >It’s possible to erase what they produce, yet often times, a little “residue” remains. Now, of course, I am using the pencil as a metaphor. The two (pencil & brain) are quite different. On the other hand, the first comparison of the two, where I state that they both have the need for sharpening in order to have the best performance, is powerful. 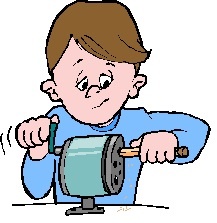 An unsharpened pencil and brain both work, but not as well as sharpened ones. Let’s explore, a little deeper, this need for sharpening the brain. It is very easy to get stuck in a routine of doing the same things, going to the same places, socializing with the same people, eating the same foods, drinking the same drinks, waking up and going to sleep at the same time, etc. Many people are literally stuck in a rut. Being stuck in a rut is an example of a brain that isn’t being sharpened. In order to sharpen your brain, you need to do something you do not know how to do. You must learn new things in order to sharpen your brain. If you don’t know how to garden, then learn how. If you don’t know how to do crosswords puzzles, then learn how. If you don’t know how to use a particular piece of software for your computer, then learn how. The key is to force your brain to learn something that is new and non-simple. Learning new things can help keep you and your brain fit. Often the new thing you learn can help with both, mental and physical fitness. Therefore, you could use the act of sharpening your brain as a way to temporarily achieve total fitness. I used the word “temporarily” in the previous sentence because I don’t think it is wise to repeatedly use the same mental act. Anything we always mentally do can eventually end up not giving us any meaningful results. A simple example of this is driving a car. When I first learned to drive – at age 14 – I found it to be mentally challenging. After awhile, driving became such a simple routine that it was no longer challenging. It’s important to “mix-up” our mental challenges in order to sharpened the brain. Similar to doing the exact same physical workout everyday, doing the same mental workout will eventually result in little or no appreciable results. 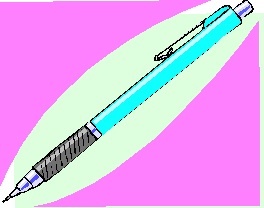 Is a mechanical brain like this “pencil?” Never needs to be sharpened. Finally, as some of you may have read in earlier posts, one of the reasons for my blog is, “writing for learning.“ In an earlier post entitled, “My Writing, Dementia and Mother,” I explained that this mental exercise of writing my blog for learning, hopefully, would also”ward-off” dementia. Of course, I have no evidence that it will, but I don’t see how it can hurt. How about a sharpened comment? This entry was posted on Monday, May 10th, 2010 at 1:00 am and is filed under R2, Ron Rogers, Writing for learning. You can follow any responses to this entry through the RSS 2.0 feed. You can leave a response, or trackback from your own site. 2 Responses to How Is The Human Brain Like A Pencil? That residue is important. It reminds us that what we do does matter and has consequences. I think that if we could completely erase our past thoughts and actions that we would lose the incentive to do the right thing. I think this is a tremendous gift. The “blank paper” of our future reminds us that we can learn to do something different. The ability to change (or repeat good thoughts and actions) in our future is a tremendous gift as well. This dynamic makes “now” so much more interesting. I love the way we perceive time! I liked your article. I need to increase my writing as well to eliminate the atrophy of losing my mind. Zen And The Building Of A Rabbit Trap??? What Is The Best Teaching Style? What's So Mysterious About Sedona, AZ? Does A Complex Problem's Solution Require Creative Thinking?